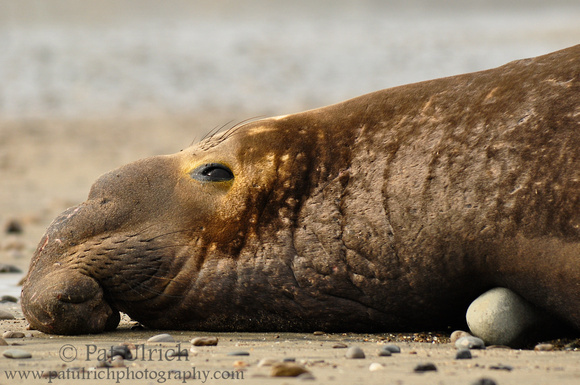 A quick post for this shot of another smaller male elephant seal taking a break on the much quieter Cove Beach of Ano Nuevo State Reserve. This beach is outside of the official wildlife protection area, meaning that for the seals its much quieter since there are only a few of them, and for the humans, it means that you can go to this beach without a guide. On the times we've gone in the past two years, there have been a handful of males, most of them smaller than the beachmasters ruling the harems in the official area, that appear to be happy to have a quiet beach to themselves.